Documentary about the migration of the Monarch butterfly from its Canadian birthplace to its wintering site in the Mexican rainforests, a tale of scientific marvel and beauty. Every autumn a miracle happens. 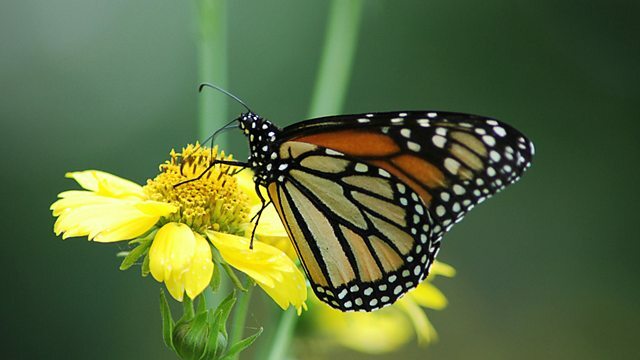 A Monarch butterfly born in Canada will fly 5,000 km to the rainforests of Mexico, across land it has never seen. It is a journey filled with peril. Many never make it, and those that do will never return. It takes three more generations to make the journey back to Canada the following spring. No butterfly has ever made the journey before and none of them will ever make it again. Based on the critically-acclaimed book by Sue Halpern and narrated by Kristin Scott Thomas, the migration of the Monarch butterfly from its birthplace in Canada to its wintering site in the rainforests of Mexico is an epic struggle for survival: an astonishing story of scientific marvel and awesome beauty.